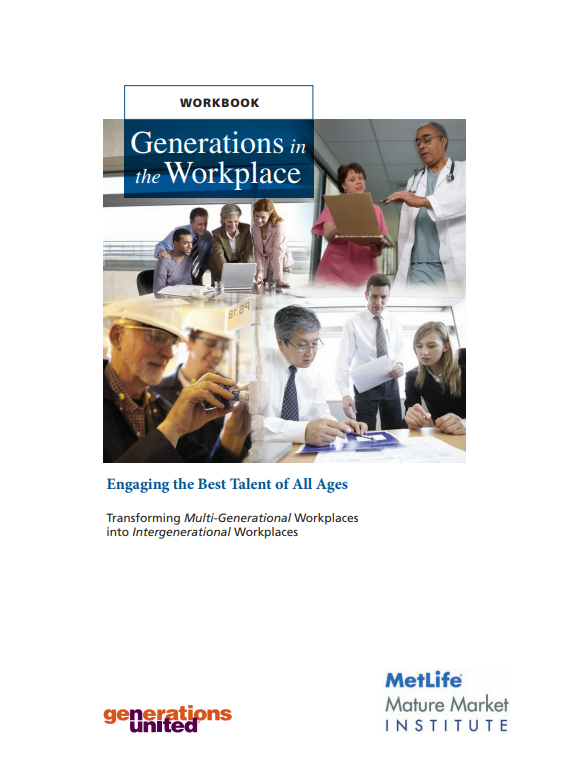 The Generations in the Workplace Workbook will help you develop strategies to ensure the benefits and competitive advantages that accrue from an Intergenerational workforce. There is broad recognition of the fact there are now four generations in the workplace. Much has been written about the differences between and among the Silent Generation, the Boomers, the Gen X’ers, and the Millennials/ Gen Y’ers. Some of the differences are highlighted by perceptions between and among the generations. For example, Gen X’ers and Millennials consider Boomers and the Silent Generation as too rigid, with expectations that employees “pay their dues.” Boomers and the Silent Generation consider Gen X’ers and Millennials as being self-centered—“it is all about me”—and having expectations based on a sense of entitlement. Generations also differ in what works best for them in the workplace; thus, it is important to match generational preferences with strategies to assist employees to reach their full potential and stay engaged as demonstrated in the case studies on Cisco Systems, Deloitte LLP, Pitt County Memorial Hospital, and Sodexo Health Care (MetLife Mature Market Institute, 2009). The Workbook’s core tool, an Assessment of Corporate Intergenerational Systems©, and the Action Steps and Exercises that accompany it are user-friendly and applicable to large and small work groups, divisions, and teams. The Workbook is designed for use throughout the company.